Motorola slipped up briefly yesterday when it activated a Moto Maker page dedicated to the new Moto G. We had previously heard that Motorola would add the Moto G to its customization service, but this essentially confirms it. Of course, the page was pulled long ago, just not before a reddit user captured the details. 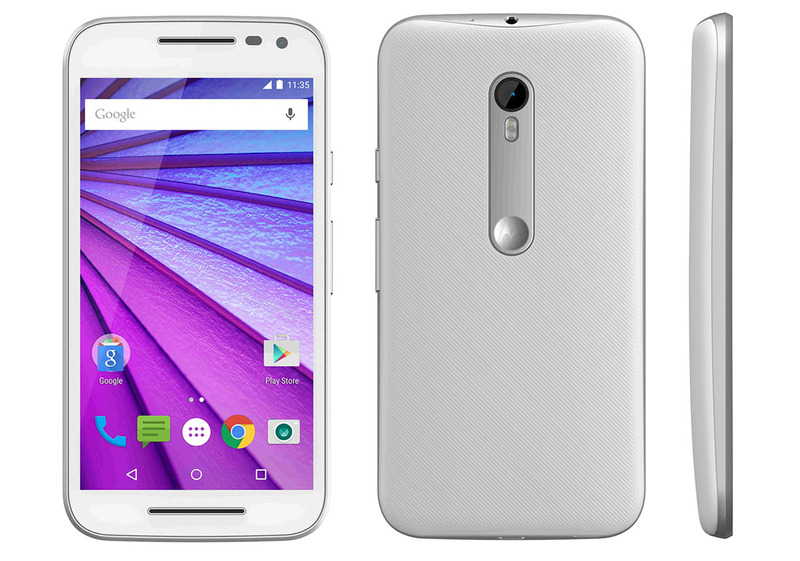 According to this “leak,” if you can call it that, Motorola is officially calling this the Moto G (2015) instead of the Moto G (3rd gen). The phone will have Moto Maker options that include white or black fronts, at least 10 back housing colors, and another 10 accent colors. Users will be able to choose from an 8GB model (more than likely with 1GB RAM) or a 16GB model with 2GB RAM. 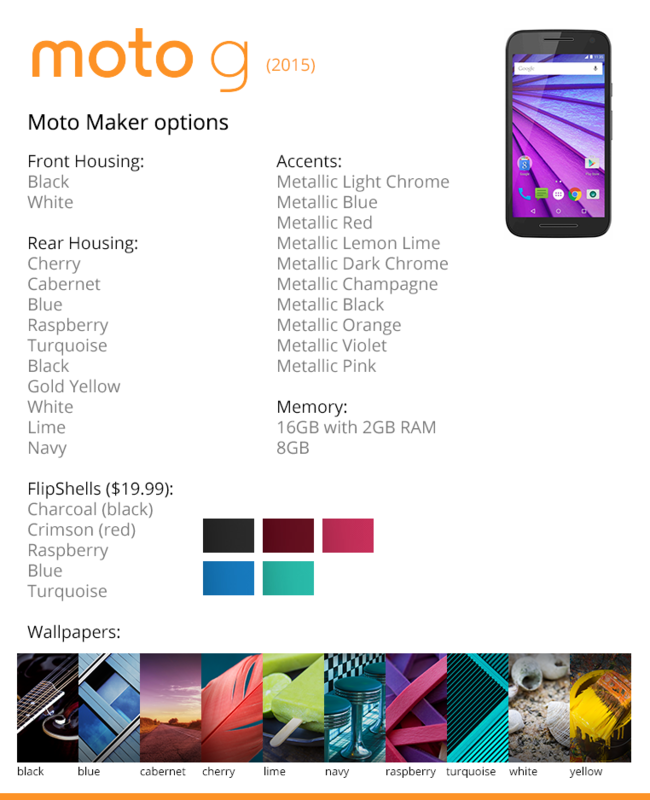 Like with other Moto Maker products, buyers will be able to choose a custom wallpaper to match their design, as well. The Moto Maker site for the new Moto G was hosting here briefly, but again, has since been pulled. We don’t yet know pricing. With that said, Motorola has priced the Moto G quite low in the past, so don’t be shocked if this is a solid mid-range offering at a very appealing price.